Company G, Fourteenth Regiment Connecticut Volunteer Infantry 1862 - 1865, Inc.
Company G, Fourteenth Regiment Connecticut Volunteer Infantry is an insured 501 (c) 3 non-profit reenactment organization incorporated to educate the public on the lives of ordinary American citizens of 1861-1865 and preserve the history of the Civil War as it relates to the State of Connecticut. With members from all over Connecticut, individuals are encouraged to join our organization if they demonstrate an interest in the subject matter and a commitment for the organization's purpose supported by its goal of education, historic preservation and authenticity. Company G portrays Connecticut's most historied regiment of the Civil War that participated in every major battle in which the Army of the Potomac's Second Corps saw action from September 1862 through the end of the war. Members authentically portray Union Soldiers in both living histories and full battle reenactments. Battle reenactments are held both locally and on a much larger scale with thousands of reenactors in Virginia, Pennsylvania and Maryland. Company G also prides itself on its record of historical preservation involvement. Our unit replaced the missing bronze plaques on both the 16th Connecticut Volunteer Infantry's and the General Mansfield monuments on the Antietam Battlefield in Sharpsburg, MD. Both plaques were stolen and Company G reproduced and mounted the replacement plaques on the monuments to restore them to their original glory for future generations to come. The Fourteenth Connecticut Volunteer Infantry participates in the Adopt-A-Position Program at the National Military Park in Gettysburg, PA. 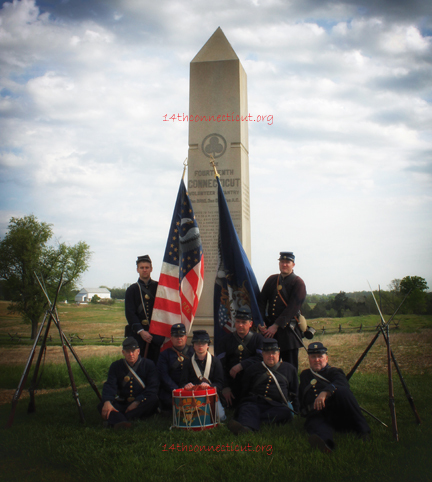 This is a volunteer program in which our organization adopted the Fourteenth's monument at "The Angle" as well as their two monuments located on the Bliss Barn and House site with members making the semi-annual pilgrimage to maintain these sites. Members of our organization have participated in History Channel programs, as well as the filming of the movies "Glory", "Gettysburg" and "Gods and Generals" and are looking forward to working on the sequel "Last Full Measure" when it goes into production. Click Here to Watch a Video of "What We Do"
If any of this appeals to you and your interest in the Civil War, we are looking for new members like you to join our ranks. Membership is open to individuals age 16 or older, to portray a soldier. Members under age 16 can join as musicians. 1. Acquire or have ordered all required equipment from the Fourteenth's approved vendor list. The goal is to have one of the best impressions in the field. 2. Participate in at least three events annually. 3. All members age 16 and older must demonstrate a proficiency in handling black powder weapons and performance of basic period drill. 4. 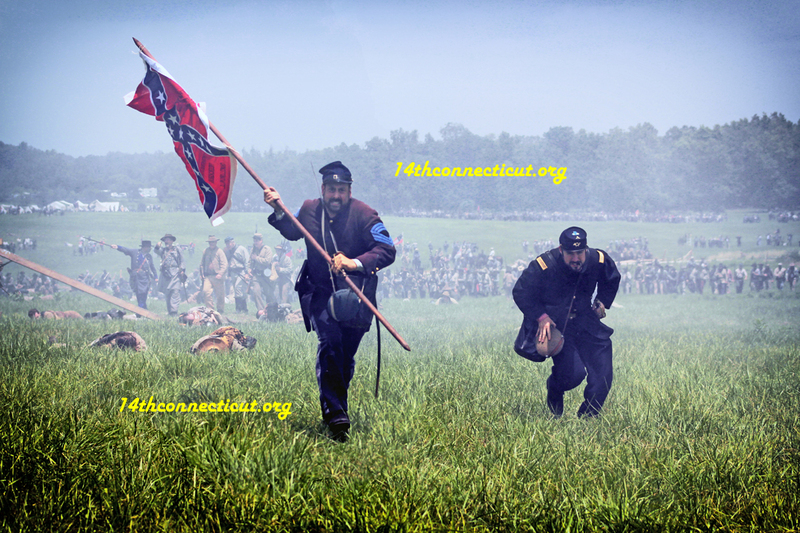 Possess a basic knowledge of the original 14th Connecticut Volunteer Infantry. 5. As soldiers, all members are required to take and execute commands from all officers and non-commissioned officers, keep their weapon and gear in good working order, and participate in company, regimental and/or battalion drill. 6. Musicians are expected to be proficient at either the fife or drum. Health and safety are our chief concerns. We adhere to strict weapons and fire safety practices. Civil War reenacting, at times, can be a strenuous and physically challenging hobby. Experience the great camaraderie! Live the history! Preserve the history! 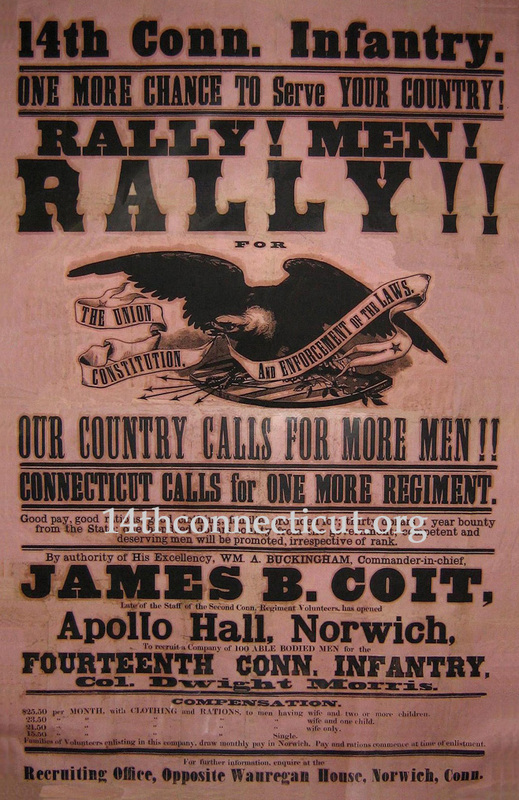 Join the 14th Connecticut Volunteer Infantry! For 14th CVI Membership Application Click Here! 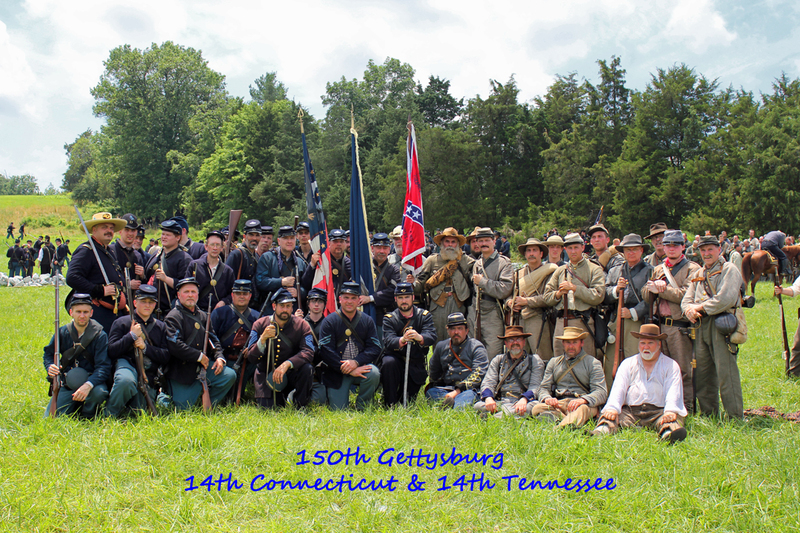 © 1999 through 2017 Company G, Fourteenth Regiment Connecticut Volunteer Infantry 1862-1865, Inc. All rights reserved.